Funko has given us a first look at their Pop! Funko “Justice League” movie figures, which are set to hit stores August 12, 2017. Actually, love this little guy. 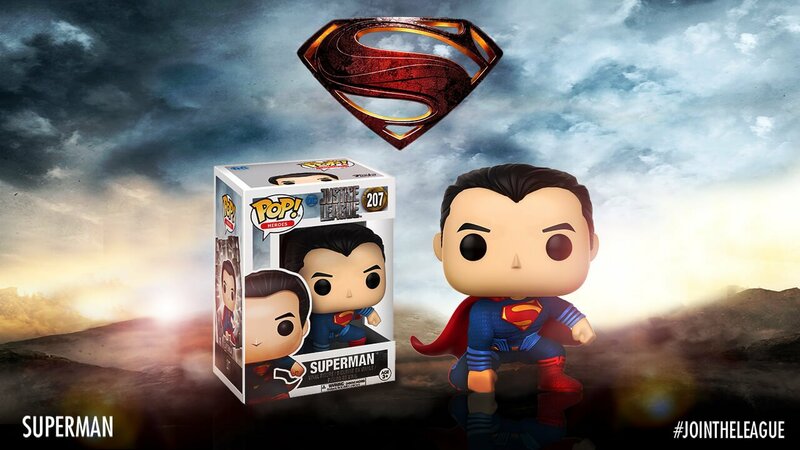 Might have to go alongside my Traditional Superman and Clark Kent Funko’s on the shelf. Superman is all kinds of adorable. Aquaman takes the cake, though, for the angry eyebrows. Saw it yesterday on the jointheleague site… will sooo be adding it to my collection… I love how bright the colors are!! I want Superman, Aquaman, and Wonder Woman. They look great!